Gary Garrett, Council Chair, got things started this morning for the Mayor's State of the City address by introducing Council Members before turning it over to John Curtis. 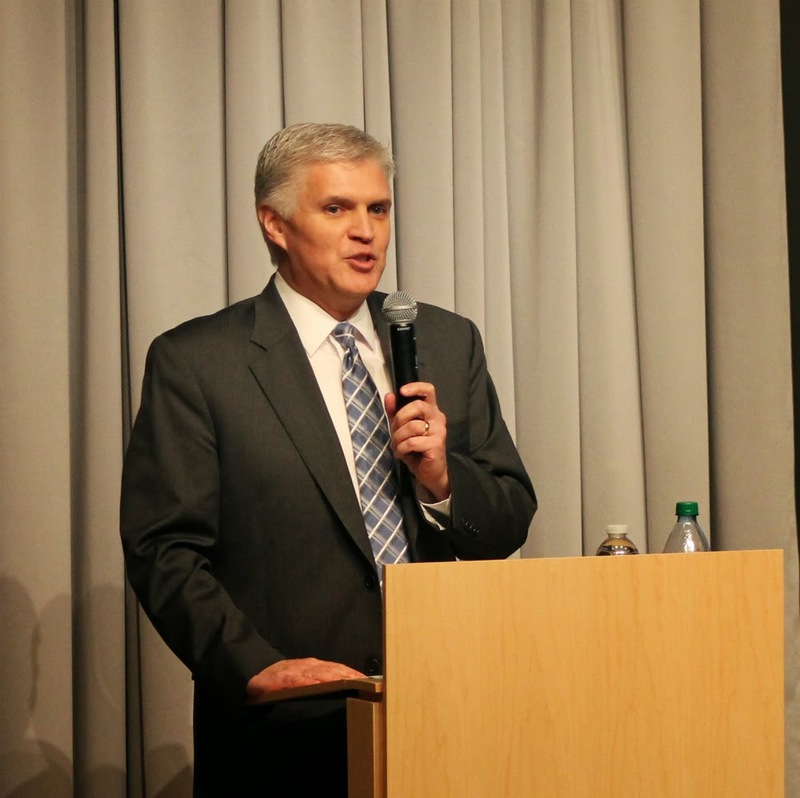 Afterward, Garrett reflected on Mayor Curtis' remarks and the sense of hope he generates for the citizens of Provo, "I think that Provo is successful because of the confidence the Mayor instills in our citizens and our community. People are excited about Provo because he is excited about Provo. I enjoy working with someone who is passionate about our city and that's what gives me great optimism for the future of Provo." Mayor Curtis arrived after an entertaining introductory video that had him running, swimming, and climbing his way around Provo in recognizable locations. Highlights of the many rankings Provo has earned in the last year were also included as Curtis took his adventurous route. 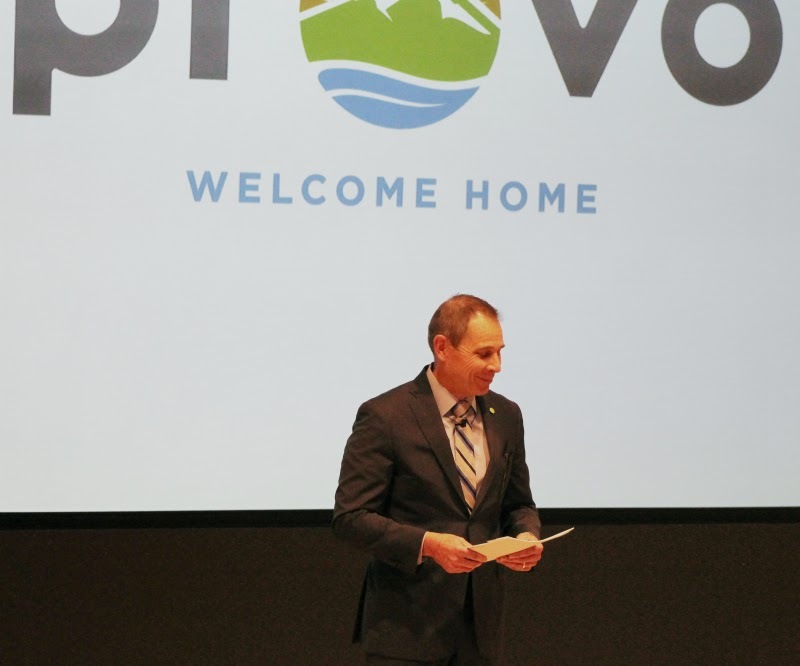 The State of the City address included both recognition of Provo City's achievements and announcements for the future. Some of that recognition was for the City Council's work in finding a way to pay for road maintenance without bonding or going into debt. One of the Council's highest priorities this year is to achieve a sustainable budget. Announcements included a dog park to be constructed at Bicentennial Park, the arrival of Google Fiber Small Business in Provo, and a potential renewable energy option. Renew Choice, which is scheduled to be voted on at the next Council Meeting, would give Provo residents the ability to choose how much of their power would come from renewable sources. All Provo residents were invited to join the conversation and share their diverse voices. Curtis mentioned the variety of ways to connect with the City Council and administration through Facebook, Twitter, blogs, email, and phone calls. The event ended with a mini-concert by Provo band The National Parks.